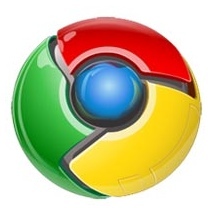 Today, Google announced that they have taken their web browser, Chrome, out of Beta. I know there are concerns about privacy and whatnot, but I still really like Chrome. It has been my default browser for a while now. Its much faster to load the program and then to load pages than the other browsers out there. Before I was using Chrome, I was using Opera, as it loaded the fastest. Before that it was Mozilla Firefox, and I was using that back when it was called Phoenix and Firebird. I had become a big fan of Mozilla there for a while, but my tastes have changed. I was using Thunderbird for my email client. Now I am using Gmail. I was using Mozilla’s Sunbird/Lightning for my calendar. Now I use Google Calendar. I’m just not the fan of Internet Explorer. My company makes us use it to interact with our scheduling software. That is the only time I use it now.